F or most of us having a field day with Yahty’s IG, there were a handful of musicians that went ultra lux on the rest of us ‘airpod’ users and debut their very own Louis V wireless headphones. While the $1000 pair of headphone is costly is comes down to sound and branding. Here’s a close up on those LV luxury earphone social media were going crazy over. A little bit extra than the standard pair of wireless earbuds, Louis Vuitton now consist of an audio technology department. Its entry into the audio market with a collection of 4 exclusive wireless earphones with advanced technology means the possibility of more bluetooth device making the market. These new portable companions are drops in-cohesion with LV’s timeless values of Louis Vuitton alongside the release of their new men’s wear line. 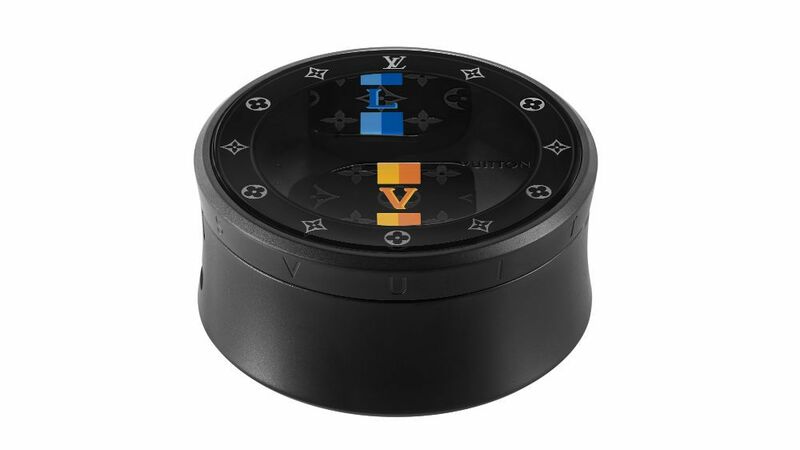 The Louis Vuitton Horizon earphones are inspired by the aesthetic universe of the Maison and are available in four colors: Monogram black, white, red or yellow and blue stripes with LV logo. The Monogram, the opaque and shiny contrasting surfaces, the bright colors and the elegant LV metal initials represent the iconic hallmarks of Louis Vuitton.